#ExtremeCouponing means combining sales & coupons to maximize savings. 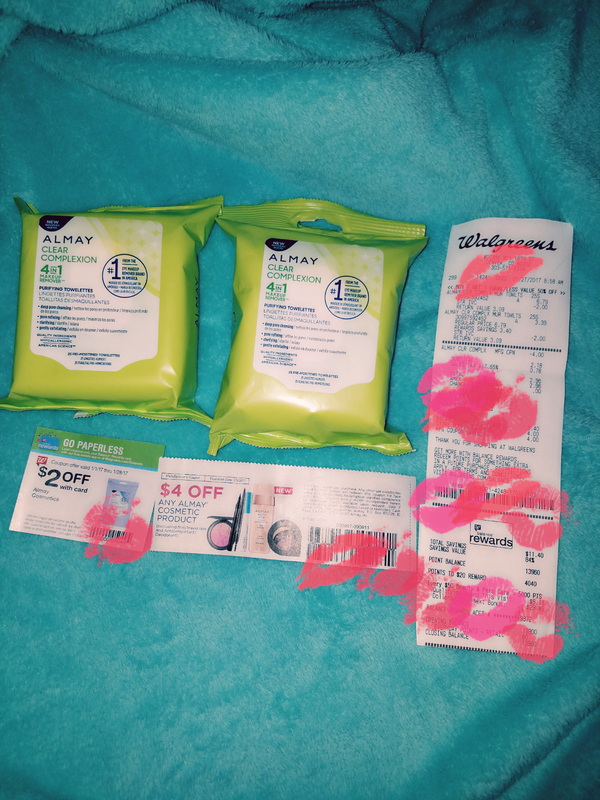 At Walgreens, I saved 84% off retail price on Almay makeup remover wipes, my favorite drugstore brand product! The original price is $6.79 per 25 ct. pack. 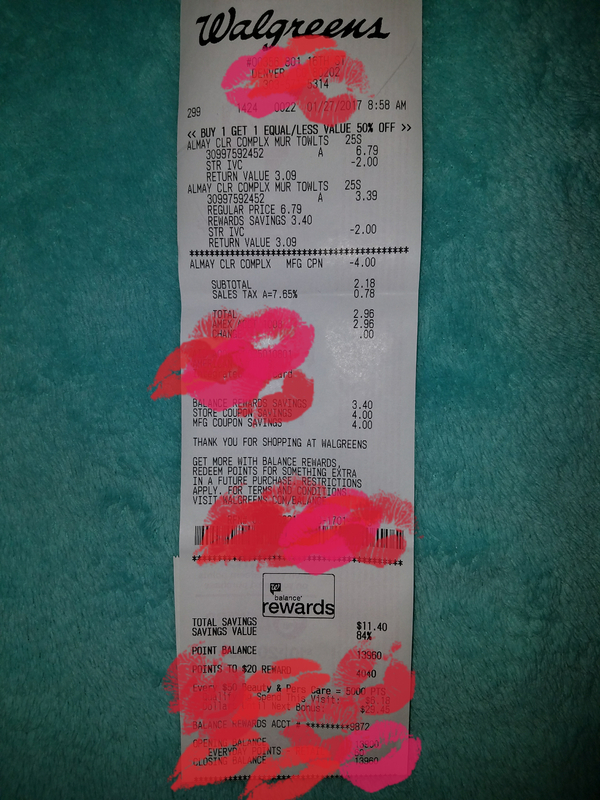 I combined a $2 off store coupon per item, BOGO 50% off sale plus a $4 off manufacturer’s coupon. I paid just $1.09 per pack, that is a $5.70 savings. Next Post #ExtremeCouponing: Great Lash mascara for 50 cents!